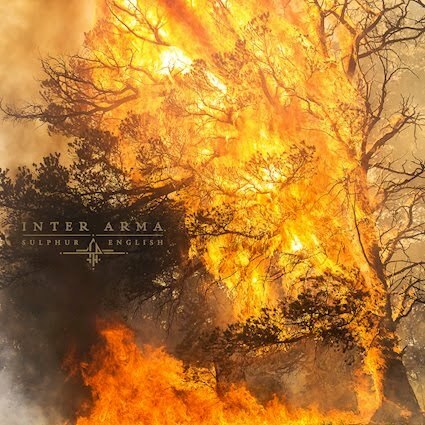 Y'know, back in 2012-2013 when Inter Arma first started to pop and I met them, I don't think I thought they were gonna be the ones to make a huge long term impact on the scene. I mean I always liked them and I remember being blown away by Sky Burial, but I don't know if I was mentally prepared for the triumphs to come. This latest record, Sulphur English is a sort of taking of the crown. All that the band has worked on for the past decade plus comes out here and it becomes obvious that these guys are the true modern masters. Sulphur English sees the band tkaign their massive and finely honed sound to a whole new level. It's deeply emotive and finally starts to reveal all that these titans are capable of. Rather than just being doom metal overlords, Sulphur English proves that Inter Arma are really jsut a defining force in heavy music. There is an overarching sense of terror and chaos here as the band continues to embrace new influences. 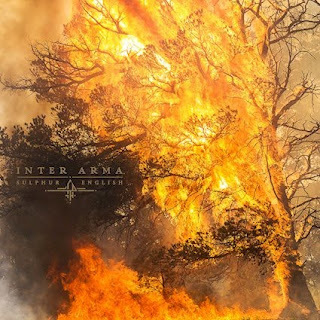 The black metal assault of the title track for example is pushing the band in ways that they had only hinted at before. It makes for compelling listening from a group who seem to fundamentally understand the glory of heavy sounds. This is one of the most emotionally deep and powerful records I have heard in a long time. The band remains abrasive and potent. Unlike so many of their peers they haven't embraced a more conventional sound. Instead Sulphur English showcases some of Inter Arma's most punishing moments yet. It makes for compelling listening that is guaranteed to keep pulling you into the pit. It's a twisted reality and one that I won't soon forget. This record is terrifying when at its best and shows us there is no stopping this Richmond force.